A mix of real sweet apples including Gala and Fuji. 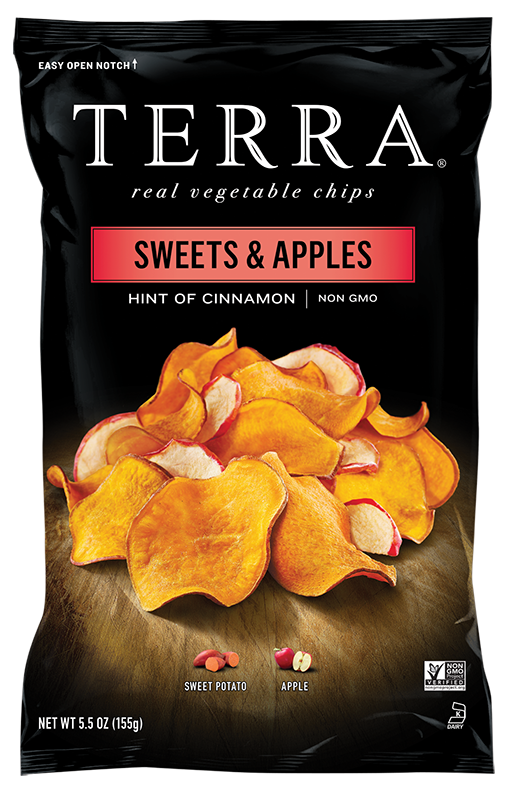 These flavorful apple pieces are uniquely dried – never fried – and mixed right into our blend. Ingredients: A blend of sweet potatoes and apples, expeller pressed canola oil and/or safflower oil and/or sunflower oil, evaporated cane syrup, cinnamon and spices,natural flavors with milk, spice extractive.